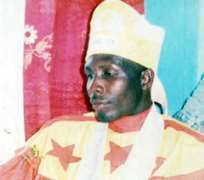 Six days after he was declared wanted by the Joint Task Force (JTF) on the Niger-Delta over the disappearance of at least 16 service personnel of the Nigeria Armed Forces amongst other offences, top militant leader, Government Ekpemupolo, alias Tompolo says that even if he is captured and made to pay the ultimate sacrifice by the security outfit, the Niger-Delta crisis will continue except the Federal Government tackles the root cause of the problem, which is underdevelopment of the region. Tompolo who spoke to Saturday Vanguard through one of his senior commanders (names withheld) weekend, said, “We will first appraise the amnesty package that was just announced by the President Yar'Adua before coming out publicly to say if we have accepted it or not, but, those of us in Camp 5 have accepted amnesty in principle two years, that was in 2007, before it was announced on June 25 by the Federal Government”. “My boss (Tompolo), however, feels sad about the bombardment of communities in Gbaramatu kingdom, the sufferings and hardship innocent old men, women, youths and children have been made to undergo by soldiers who invaded the communities. He feels the people were made to go through pains by the military for no fault of theirs”. “He is sorry that the Nigerian state decided to handle the matter the way it has done so far, provoking the bombing of oil installations belonging to the Chevron Nigeria Limited, Agip and Shell Petroleum Development Company (SPDC) by militant groups, a development that has totally crippled oil production activities in the country”, the “commander” explained. His words, “You know I cannot tell you whereabouts, so there is no need asking me where he is, I have comments on that but what I can tell you is that he is safe and secure in where he is. Leave me out of whether he is still in the country or in the creeks, I cannot give out my master”. “We have heard from him and he is not afraid of being killed but he sent out words to us that even if the JTF gets him today, it will not kill the spirit of the struggle. He said that he (Tompolo) is only an individual and if anybody decides to use him as a sacrifice, it will propel more people to enrol in the struggle. “As far as he is concerned, he has played his own role in the Niger-Delta struggle and anything that happens to him now is God's divine arrangement but he would not be intimidated by the security outfit, which went about bombing and killing innocent people”, he said. “Tompolo is very much worried that more than a month after thousands of people were displaced from their homes, there is no definite arrangement on ground for them to return to their homes a host of them are living like animals in the forest without food to eat”, he added. “However, to answer your question on if he is not afraid that the JTF would soon catch up with him, I want to tell you that he is not afraid because they will not get him, they don't know where he is, they only said they were inching nearer to him to deceive the people and justify the money they are spending for their operation. “Master (referring to Tompolo) is safe and secure where he is, there is no problem. It was strategic that he melted into the thin air at the time he did but we know that he is very relevant in the peace process in the Niger-Delta and that what happened on May 13, which the JTF is accusing him is not him that caused the problem, it is the soldiers themselves that caused the crisis”, he said.